This has made Washington’s negotiation partners nervous. They, after all, were willing to drag along their states into a bargain that was essentially driven by what were meant to be US corporate interests. The not so elaborate con seemed to work, a triumph to cultic neo-liberal faith over pragmatic consequence. Singapore’s Prime Minister Lee Hsien Loong was one such individual to make the journey to the country that insisted most on such a deal. In the Straits Times of Singapore, Obama suggested that “the politics around trade can be very difficult, especially in an election year.” He seemed bubbly in enthusiasm, citing the close ties between the countries and his prowess in getting the TPP through before the new president’s inauguration. As such events take place, the Trump campaign has been withering about the agreement. His language is eschatological in its doom. “Trump win,” trumpets the running line, “is the only way to stop TPP catastrophe.” One of the latest press releases on the subject emphasises efforts on the part of Obama and the Singaporean Prime Minister to “launch a final public campaign for the Trans-Pacific Partnership”, a point to be poured scorn over. A large swathe of Democrats, and the Hillary Clinton campaign, have also insisted on noisy scepticism of the deal, though her case remains heavily qualified by a previous enthusiasm for the arrangements as Obama’s secretary of state. Mistrust, as she has attracted over the years, remains, not least because it is seen as a ploy to snare supporters of the now dead Sanders campaign. On Thursday, Clinton made another push to capitalise on an increasingly protectionist climate while insisting that a Clinton administration would be friendly to infrastructure projects on a vast scale. That aspect is as much a nod towards the Trump campaign as anything else, cognisant of the Republican nominee’s promise to undertake massive government borrowing to that end. What the Democrat nominee was promising was the language of the a new, accelerated “economic plan”, one packed with more taxes, filling federal coffers with a minimum tax at the highest end of the scale, to debt-free tuition and social security padding. This is all rum stuff, given that Clinton’s voting record on the subject of free trade is sketchy. While voting against the Central American Free Trade Agreement, she has expressed considerable support for the concept of bilateral free trade deals. 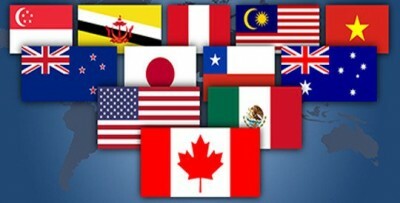 Among them were the Australia Free Trade Agreement (2004), Singapore and Chile (2003). Any basic understanding on the TPP shows its fundamentally Clintonian shape: the manacling, if not exclusion, of government from the regulatory sphere of global corporate behaviour; the privileging of profit motives over public goods; and the false idea that corporations are engine rooms for the commonweal. The point generally to be made here is that the chances for the TPP passing are slim at best, withering as time passes in the vortex of US electoral politics. The window between November 8 and January 20 is a small one indeed, though still open. Heartening here is that much of the sabotage is coming from within Washington itself, an entirely apt state of affairs, given that the very concept began there. But if Clinton does win, a change of opportunistic heart may well be in the offing.